I'm glad to see that 3DR is back and will be releasing games once again! My primary browser is Firefox 33 in Windows 7 x64, but I've verified all but one of these problems in Internet Explorer 11 x64, too. For the one remaining problem, I've isolated its cause. Hopefully these will help further improve the new site. Your "Contact" page has a "Contact us" link that directs to #. Usually, I see "#" links when some kind of script call is being made to open a popup or something, but on this page, the link doesn't do anything in IE or Firefox. Fortunately, the page also has an email address posted on it, allowing users an easy workaround. The system used to display content on the Team and Catalog pages didn't work for me in Firefox, but did in IE. I isolated the problem to one extension: "Search By Image (by Google) 1.1.2." Even though this extension shouldn't have any effect on page rendering, and I've never seen a problem associated with the extension before, 3DR's site conflicts with it somehow.  The extension can be found here on Mozilla's Addons site. Since I'm not seeing this issue affecting multiple sites, I'll leave it to you to either work with Google on troubleshooting this further or to work around it. I was able to see both CAPTCHA features (ReCAPTCHA and the text CAPTCHA containing either a very simple math problem or instructions to type text into the text box), and I only attempted registration when I was able to read the ReCAPTCHA text (or number, as ReCAPTCHA showed me text in Firefox and numbers in IE) with high confidence, so there's no way I entered the values wrong all four times. Either the site has my Verizon FIOS IP address on an overzealous spam blacklist, my email address somehow got into your system on a spam blacklist, or your forum is not allowing people to register. Hopefully vBulletin's logs are detailed enough to help troubleshoot. You should find the four registration attempts in the logs only a few minutes before Joe manually created my account for me. I hope these reports are detailed enough to act upon. If you need any clarification or want me to take any additional troubleshooting steps, let me know. I can handle the registration denied thing. The forums use a public database made up of IP addresses and email address of known spammers. It will trigger if some direct value or (I think) a wildcard match of what is being used to register with matches something in the database. Could not find phrase 'invalid_redirect_url_x'. That's known. Within the last hour there was a server fix applied. See if it makes a difference. Last edited by Joe Siegler; 10-24-2014 at 09:24 PM. I've been seeing the invalid_redirect_url_x error pretty frequently, too. It seems kind of random. I'll get it after doing something, and then when I repeat the action, the error doesn't repeat. Also, I didn't notice this before, but the Search by Image (by Google) extension reviews contain comments from others that the extension sometimes breaks websites. This is the first time I've encountered the problem (it also affects your FAQ), but others are seeing it elsewhere, so apparently that extension has issues. Especially given that, I'm going to go ahead and kill the extension (TinEye's image search tends to work better anyhow). My fixed version, original post. 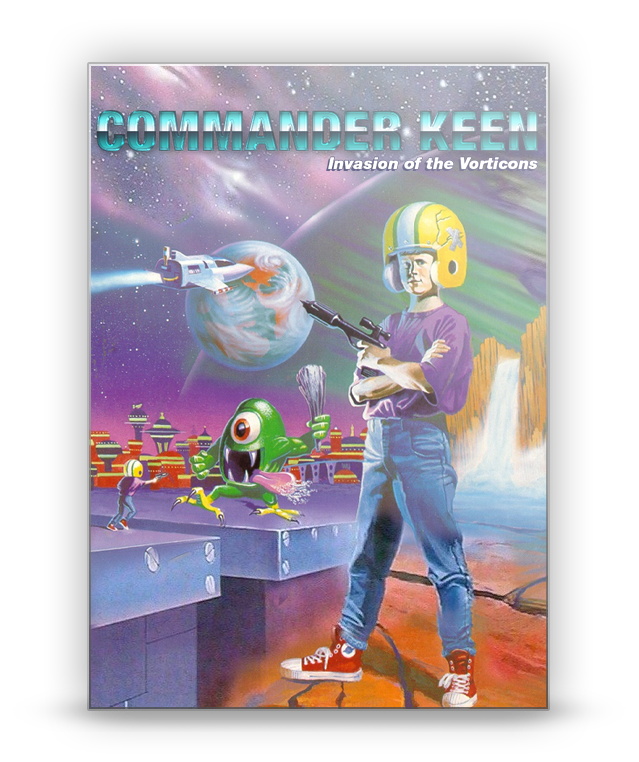 As cool as it may look, the image used on the new site for Invasion of the Vorticons is actually the box for Commander Keen 6: Aliens Ate My Babysitter!. 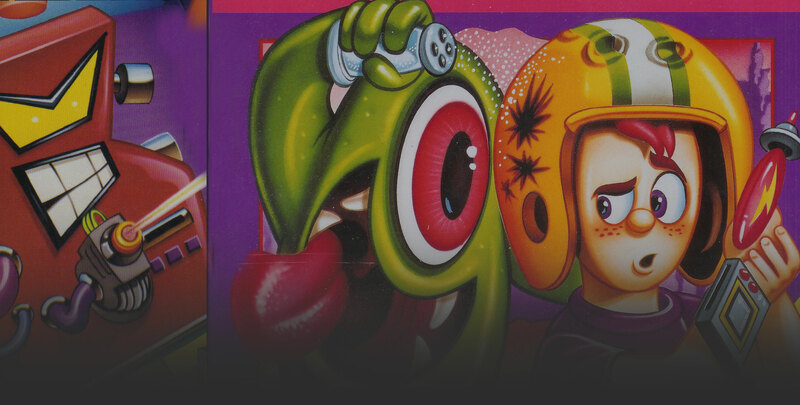 The green character there is a Bloog, not a Yorp or Garg. 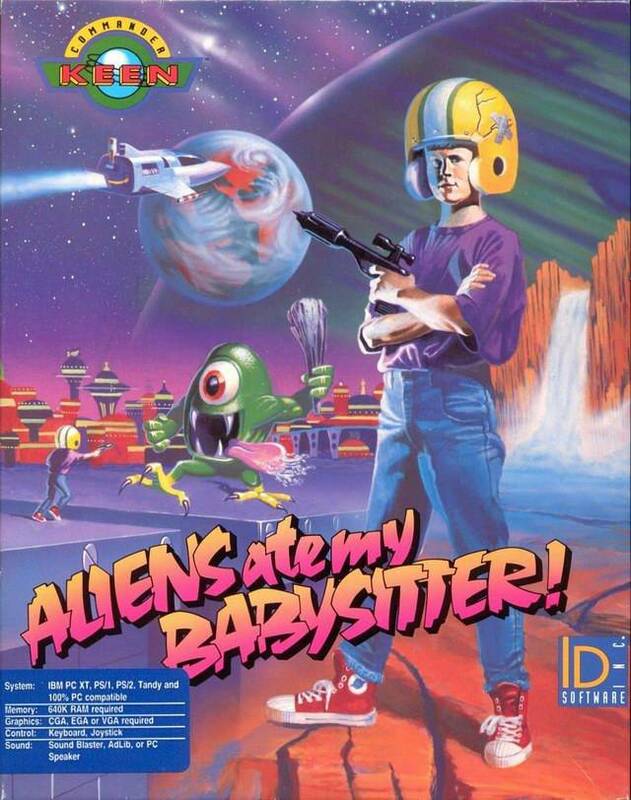 The Goodbye Galaxy page background uses the title screen art from Keen 6 as well. Last edited by Hendricks266; 10-25-2014 at 07:34 PM. This is nitpicking down to the extreme, and has absolutely nothing to do with the functionality and purpose of the site. I've always heard it described as attention to detail. Is it not the "functionality and purpose" of the website to properly represent the games you're selling? I can see how cosmetic issues would be low priority compared to site design issues, but I don't agree that they can be dismissed outright. Any one get that when logging in ? I was getting that constantly yesterday while logged in(on my mobile phone) and I got it today while logging in on a desktop. I get it too. It seems to go away if you just go back to the forums again. Will look into it, but it doesn't seem to show up except the first time you are logging in. i made a new account so i wouldn't have this awful username anymore, but the account confirmation email never showed up in my inbox. I'm probably a complete buffoon but i can't find any way to re-send the email, or otherwise validate the new account. Have you checked your junk/spam box? For some reason, my sign-up email ended up there. How dare outlook filter a 3dRealms email to my spam, but I had to check in there to get mine. Comcast filters some of my emails as spam, and the only way to access those emails is to log on through their website and mark it as not spam. A friend of mine had a similar experience with AT+T. I know. I have a theory as to why it happens. It doesn't break anything except the natural flow of what you're doing. The forums still work right, though. I'm getting this all the time, after login. Last edited by Morbid; 11-04-2014 at 06:39 PM. I get it when I try to use the ignore functions or when I log in. So will this ever gonna be fixed? Also have a issue with uploading photos, etc. I tried many formats (.gif, .jpg, .png, .bmp,) i tried reducing the size, and it always says invalid file. I get this error too when I try to change my avatar. It worked before in the past. It is a known problem. It is also why the photo gallery doesn't work on the legacy site. Need to get the graphics backend fixed. Does the internal message system work? I did get a message, sent a reply for it but the reply does not show up, nor did I see a message for a successful send. I'm unable to log into the new forums, says username or password is incorrect. You need to create a new account. IIRC accounts are not carried over to the new forum.